The photo of Quill, Brooker and Hutcheson is a beauty, but I would like to confirm that Quill and Hutcheson were both F/Ls at the time, R E P Brooker (DFC & Bar) was an RAF Squadron Leader and CO of 14 Sqdn, no doubt the other two were his flight commanders. This and the many other photos featuring 14 Squadron activities were all taken by Leo White at Whenuapai in February 1943, just after the move north from Masterton. Brooker departed for overseas at the end of this month on return to the UK, and was replaced by S/L T B (Tom) Fitzgerald, RAF (a New Zealander of course, and later a guide at RNZAF Museum). The squadron was still equipped with their original P-40E Kittyhawks at this time, but these were all replaced by brand-new P-40Ks the following month, and it was the latter aircraft which were ferried up to Espiritu Santo where they were taken over by 15 Squadron who ferried them the rest of the way to Guadalcanal and took them into action from Kukum strip (Fighter II) in late April 1943. Fitzgerald was replaced by Quill as OC 14 Sqdn at Espiritu Santo in early May 1943, and Quill was still in charge when 14 Sqdn replaced 15 at Fighter II in mid-June 1943. I haven't been on the thread much lately so it's about time I posted something. One type that is missing from the thread for Kiwis with artwork is the Halifax. 158 Squadron Halifax III Maori Chief, NP-M MZ356. Pilot F/O Jimmy Gapes RNZAF. I don't have detail on the rest of the crew but F/O Gapes was the pilot. Another Halifax captained by a Kiwi with nose art was B.III LV917 named "Clueless" of 158 Sqn - her captain at one stage was Leslie Fulker DFC, who lost his life at the tender age of 23 flying Halifax III HX329 (detail on Fulker from For Your Tomorrow Vol 2 - thanks Errol). LV917 was brought to my attention by a chap who used to scour the UK countryside looking for Halifax wrecks; he provided me with details of the nose art and markings and gave me a model to build for him. The old Airfix kit appeared as LV917 NP-C, but was missing the "Clueless" nose art. LV917 was quite a lucky machine, reaching 99 ops apparently, although rumour has it a '100th' marking was added for luck! We cannot forget the most famous Halifax of all, LV907 "Friday The 13th", had a couple of kiwis in the crew including Keith Smith (Bomb Aimer) and Harold King (Navigator), and if I recall correctly the pilot Cliff Smith (later Cliff MacDonald) moved to NZ postwar. It was Cliff and Keith who gave this aircraft its famous name I believe. Friday the 13th was also a 158 Squadron aircraft. Cliff Smith was the pilot on it's second mission and flew it a number of times after that. More importantly it was flown by two New Zealanders. 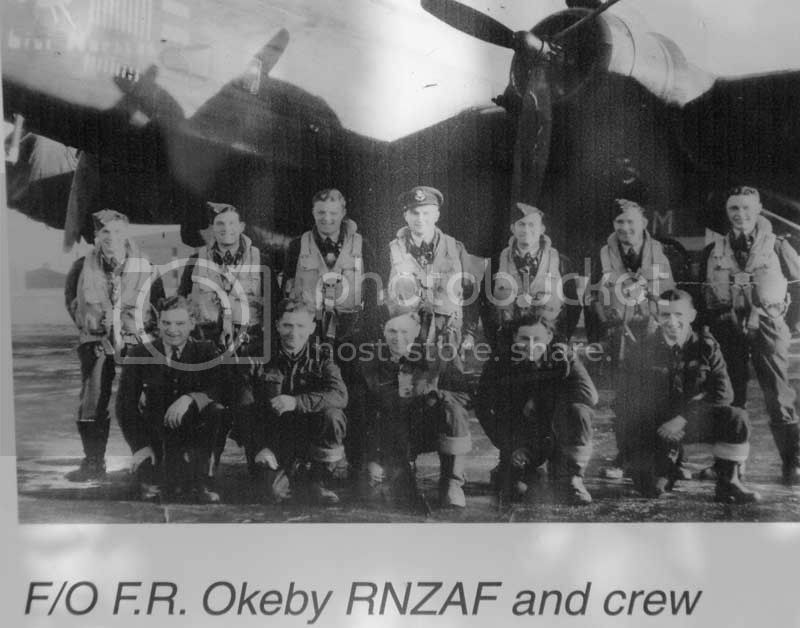 W/O L Fulker RNZAF on it's 32nd Mission which was to Wizernes 28 June 1944 and again this time as a P/O on it's 41st Mission to Wanne Eickel on 25 July 1944. The other Kiwi was F/O T H Sinclair RNZAF on it's 78th Mission to Hanover 21 October 1944. Another 158 Squadron Halifax flown by a New Zealander but this time a Merlin engined BII was Xpress Delivery, F/Lt W. T. Brown RNZAF NP-X HR755. 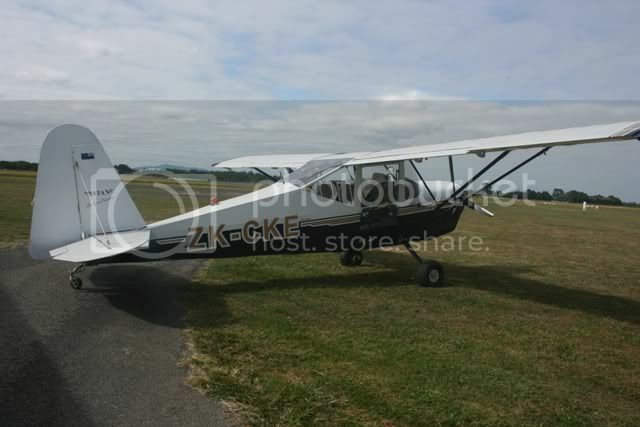 Do you guys have photos of these aircraft please? Friday The 13th is very well known and widely photographed but I have not seen these other aircraft. 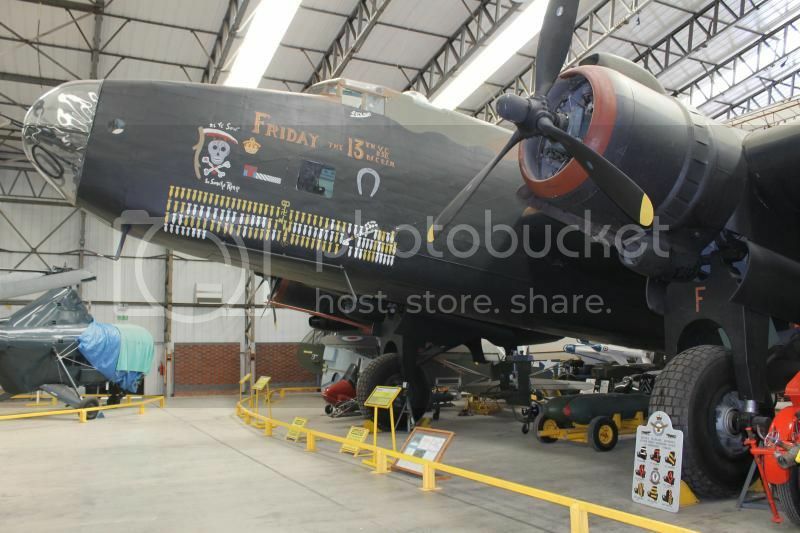 Here's a link to the Yorkshire Air Museum's web page with a story of how Friday the 13th got its name. Fulker was, despite his age, a seasoned veteran by the looks of things. I've only ever seen a blurry image of LV917 in a book, but I have seen a profile of it and its nose art. It was the model of choice by Airfix, so it did adorn box art. Both LV917 and LV907 went on many ops together, including 158's last of the war on the night of 25 April 1945 into the Netherlands. I saw YAMs incredible reproduction of "Friday 13th" last year. Its a beast! Is the Y.A.M. Halifax a real complete Halifax? It is a composite of real Halifax fuselages sections, with Hastings wings, undercarriage and engines which were virtually identical, and some new fabrication. So as much original as many Spitfires around today, if not more. Yes saw it up close back in 2000 and you cant tell its anything but the real thing. They also used original drawings for missing structure so to an ex crew member he would feel right at home. The YAM Halifax mock-up is constructed largely of wood, apart from the sections Dave mentions. They have also recreated the interior as originally as possible, with the end result being quite something to behold. Note the rippling in the nose glasing in the picture Bruce posted - it's difficult to replicate the shape and I got told that this was one of the hardest parts of the recreation to make. There's also a rather nice Bf 109G mock-up as well at YAM, which is also constructed of wood. It too, looks the part, although up close you can tell its a mock-up. YAM also has the original nose panelling with its art work from LV907 on display, to complement the full size aircraft. Actually I think you'll find Grant that the wooden sections that were part of the 1990's Halifax restoration have been replaced by properly engineered metalwork, built to the drawings. That's what I read on the internet anyway. It's more genuine/realistic now than when unveiled in the 1990's, apparently. 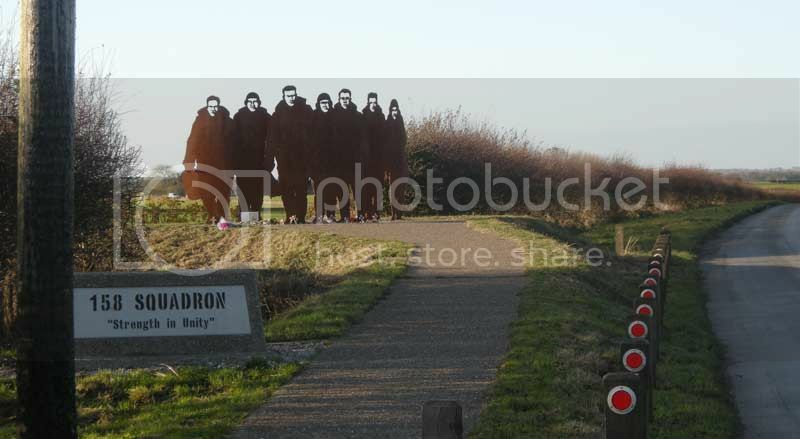 To add to Keith's Halifax posting, I took the following on a visit to the 158 Squadron memorial at Lissett in November last year. Once again, not a very clear photo as it's taken through glass, and the light was in the wrong place! There are now a series of wind turbines on the old airfield, and each of them has been named after a 158 Squadron aircraft. One being Maori Chief. And from the same site, the following. I don't have any codes or serials as yet. 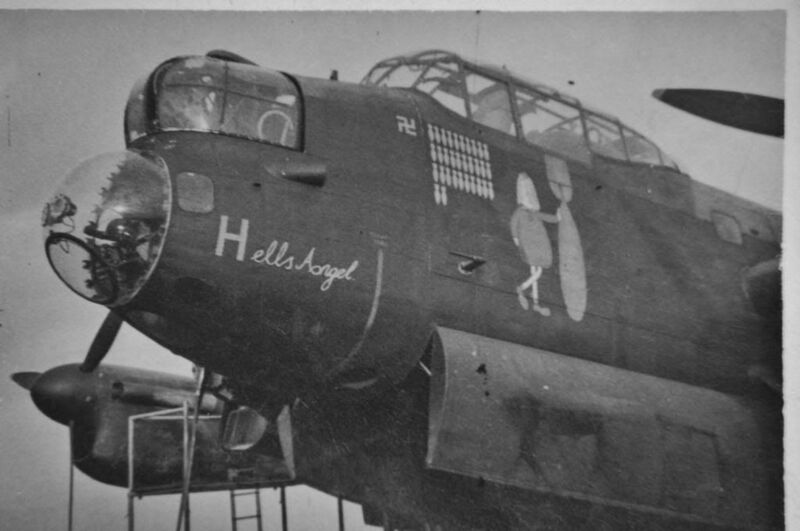 And a close-up of the nose art which appears to be a Kiwi in a TUTU! Unfortunatley the rest of it has been cropped from the photo. 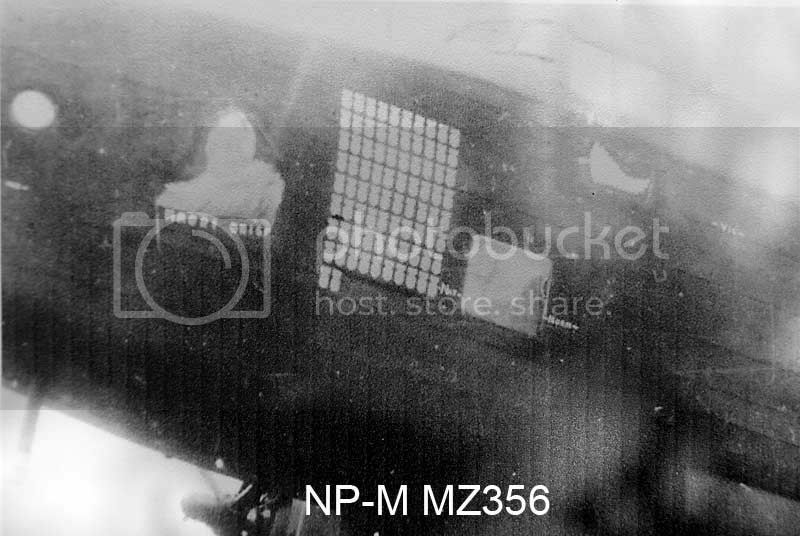 The other point on this photo is that there also appears to be some award markings behind the mission tally. And finally a shot of the memorial itself. Cut from steel sheet, and engraved with the Roll Of Honour from 158 Squadron. I must check with my mate who took me there, Francis Chapman (kiwichappers here on the forum) as I know he also took a series of pics there from the information board where the above pictures have been used. And a close-up of the nose art which appears to be a Kiwi in a TUTU! It's called a piu piu and is a typical 'grass skirt' that the Maoris wore during a 'challenge' to combat. Nose turret guns removed for servicing in that photo pjw4118? Sorry mate, I beg to differ. From what I could see of the artwork in that photo, it appeared to be more like a ballet TuTu, not the traditional Maori grass skirt!